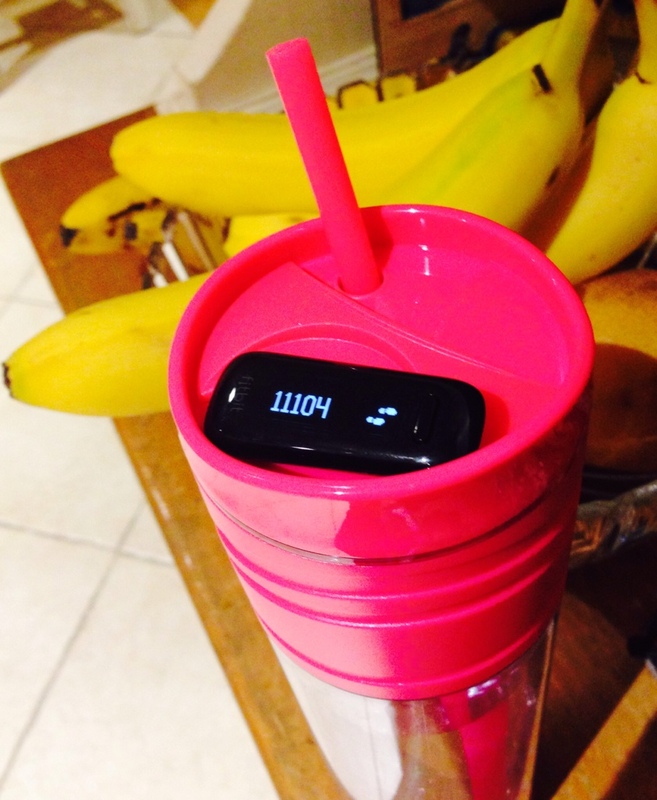 I’m loving my newest fitness gadget that tells me how many steps I’ve taken per day and sets a goal for me to meet. I met my goal of 10,000+ for the day. Elizabeth and Reid both seemed excited about theirs and were monitoring and measuring their workouts and talking about their 10,000 steps. I was curious and decided to check it out. I think I’m hooked. I like having goals and seeing a number makes me accountable, if I’m paying attention. Yesterday I chose to walk a bit longer on the beach because I wanted to meet my goal. When we came home and I still had a couple thousand more steps to go, instead of making a cup of coffee, we walked to the coffee shop. I scored more than 15,000 steps, just being more mindful and choosing to keep moving. Love this!! Today I wore it to the gym for my TRX class and was surprised how little movement was actually created in 45 minutes. Knowing this, I chose to get on the stair master later in the afternoon to “catch up.” I am motivated. It can measure your food intake, your weight, your exercise, your mood and even your sleep. Who knows what else it can do? The first night I thought it just measured the hours of sleep from the time you set it until you woke up and turned it off. Actually, that’s because I turned it on and set it next to my bed. Last night I actually wore it, and the crazy thing measured my minutes of sleep and minutes of restlessness and actually showed me when I was restless. I think that’s pretty cool. I wonder if there will be any patterns and now I need to set some sleep goals, like maybe get to bed at a decent hour. I’m hooked. Ok, one more cool thing before I sound like an infomercial, the little fitbit fits in your pocket, on a strap or even has a little wrist sleeve. The data it captures can sync with your phone and your computer and keep track of your progress. I love cool, fun, technology. Now I hope it helps me get and stay fit.